The heart wood of old growth yellow pine trees, Heart Pine is special to us here at Georgia Reclaimed. 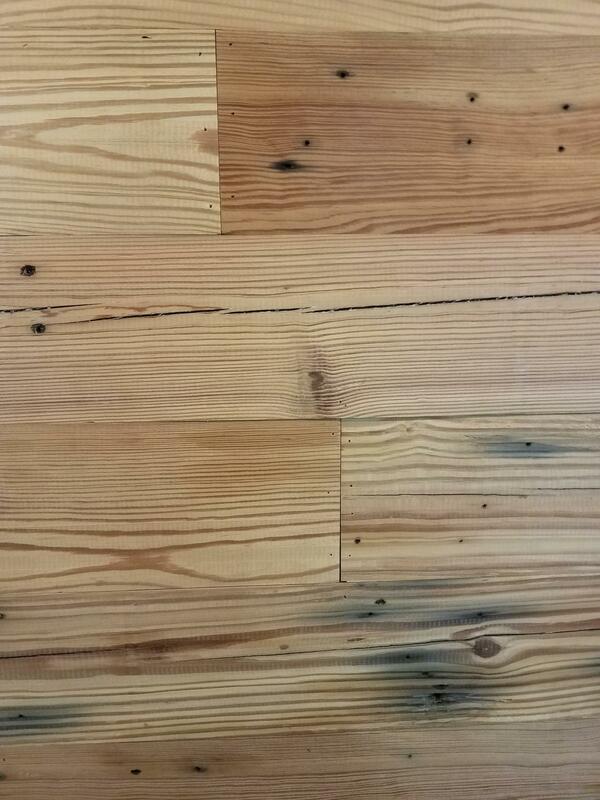 We got our start working exclusively with heart pine and we still love it. With so little of the original old growth pine forests left in the Deep South, these planks represent some of the last remaining vestiges of that amazing forest. Aside from our personal and historical connection to this wood, we think it is absolutely gorgeous – perfect for creating a warm, inviting and cozy space. Our Heart Pine Paneling is milled specifically for accent walls, ceilings and other applications where you would like the look of real, authentic heart pine in an easy to install form. We make our Heart Pine Paneling at our mill in Monroe, Georgia from wood reclaimed from houses, barns, and mills of the Deep South. Each plank is a piece of our collective history and we are proud to offer it to you for the next chapter of its story.